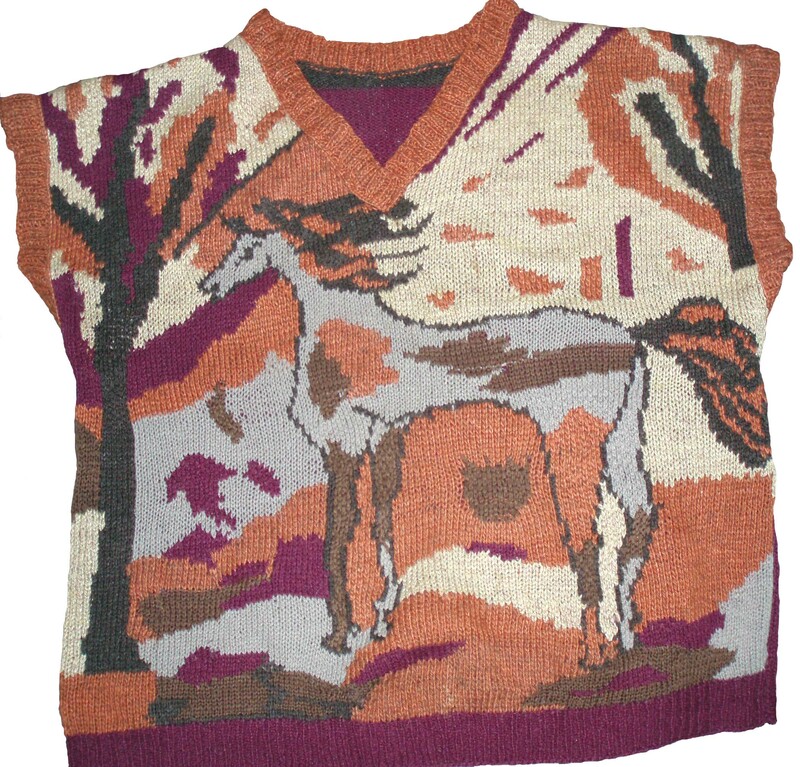 This sleeveless jumper with a horse was made so many years ago that I completely forgot about its existence.. I made it for my mum, and she used to wear it a lot, getting compliments from co-workers and strangers who happened to see it.. I found all those old pieces of paper with knitting schemes and drawings in my mum’s old desk.. Here are some more of my horsy “art” from when I was a child.. I know they are childish and silly, but I love looking at them as they are the Things From the Past..